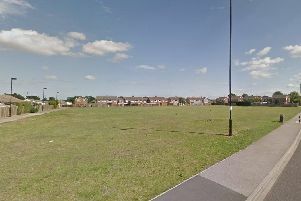 A row has broken out over shooting guns in a Doncaster village. Rotherham Chantry Rifle Club, based in a former quarry in Braithwell, is wanting to raise the height of walls on its site, called 'butts', which are put behind targets to stop shots. But the move has prompted a protest from a local businessman and other reseidents, with fears raised it may open the doors to more powerful weapons being used at the club. The walls are for safety purposes and the club says they have to be extended following a recent visit from the National Small Bore Rifle Association to the range, on Hoyle Croft Lane. But the planned change has attracted a number of objections, including one which arrived shortly before the last Doncaster Council planning meeting when a decision on planning permission was due to be taken. A decision on the plan was deferred to give councillors a chance to consider what was described at the meeting as a 'complex' document. Concerns raised by objectors included fears that the application may allow an increase in the calibre of the guns, concern over disruption during construction, and the impact on wildlife. Local businessman Arnold Pawson told councillors at the meeting he had been an honorary member of the club for 40 years and lived close to the site, and said he though new committee members seemed to be steering the club in a different direction. He said: "On two separate occasions I've asked if it is their plan to to shoot rifles over .22 calibre - no one would answer. That gives me concern because of noise and safety issues." But club chairman Dave Boden-Hook said the club has been shooting at the quarry for the best part of 50 years, with Olympic quality shooting. "It has been completely incident free to me knowledge," he said. He said there had never been an intention to shoot higher calibre guns on the external range, and it was not feasible. Committee chairman Coun Iris Beech said the decision would be deferred to consider a 'complex' email of objection.